GT85 is a very light, penetrative lubricant with PTFE. Doubles as a protective polish that leaves a dirt-resistant Teflon finish on the frame. Doubles as a household/auto lube and water dispersant. 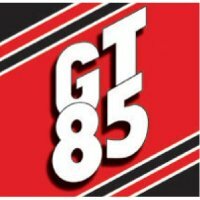 GT85 is a very light, penetrative lubricant with PTFE. Probably too light to be fully endorsed as a chain lube, unless frequently reapplied, GT85 comes into its own when you are looking for a spray lube which will help keep the likes of derailleurs, brakes and cables lubricated and working at an optimal level without gunging them up, as a heavier wet lube might. Sprayed onto the bike after you've washed / hosed it down, GT85 doubles as a protective polish that leaves a dirt-resistant Teflon finish on the frame. Doubles as a general lube that helps free up seized and squeaky parts, and not just on the bike. Use it on sticky locks and squeaky hinges. Displaces water so it can be sprayed on a car's spark plugs etc when it refuses to start, GT is recommended by, for instance, Porsche, BMW and Mercedes-Benz.